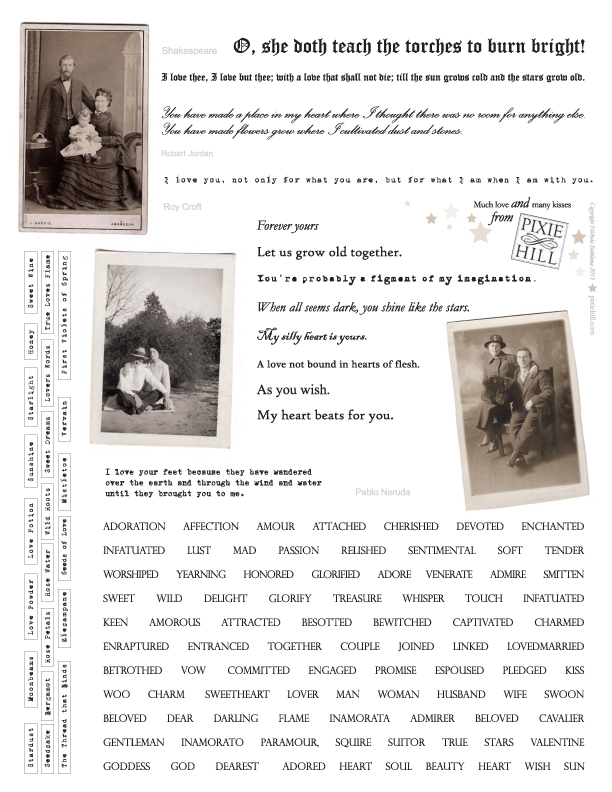 and put together this collage sheet of sweet nothings for you to use. You can download a high res pdf here. Please don't sell, or distribute, in part or whole as your own or I'll turn you into a toad. Thanks for the freebie...I am always looking for words and the images are fab. Can't wait to see what you are doing with them. What a wonderful freebee you've released into the aether! The list of words at the bottom is a poem in itself. Thank you for the Collage Sheet!! I love the vintage pictures and the words are great!! I know this post is over a year old but I just discovered Alpha Stamps... I know, GASP! But at least I found you! :D Wanted to thank you for the great collage sheet freebie! I just joined up to get Alpha Stamps monthly kits... can't wait for that to hit my mailbox! Anyway, wanted to say Hi and thanks again for the freebie!